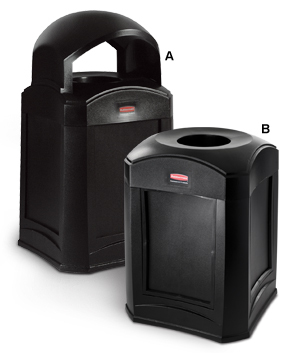 Integrate waste management and window washing with the Landmark Series® advertising trash can. 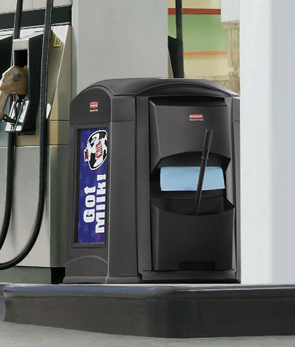 Style combined with functionality helps make gas stations and store fronts appealing and efficient. Insert personal messages and advertising panels. Standard bolt-down base for stability. Sturdy construction 28"H liner included for indoor and covered outdoor use. Landmark® Series window wash kit can be attached to the containers or use the pole/wall mount kit to implement alone.